China’s recent rapid economic growth has drawn global attention to its foreign policy, which increasingly has had an impact on world politics. In contrast with China’s long-standing preference for bilateralism or unilateralism in foreign policy, recent decades have seen changes in the PRC’s attitude and in its declaratory and operational policies, with a trend toward the accepting and advocating of multilateralism in international affairs. Whilst China’s involvement has been primarily in the economic arena, for example, participation in the World Trade Organization and ASEAN Plus Three, it has more recently expanded into international security institutions, such as the Shanghai Cooperation Organization. This book records, analyzes, and attempts to conceptualize, this phenomenal development in Chinese foreign policy and its impact on international relations, with the emphasis on China’s active participation in multilaterally-oriented regional security regimes. 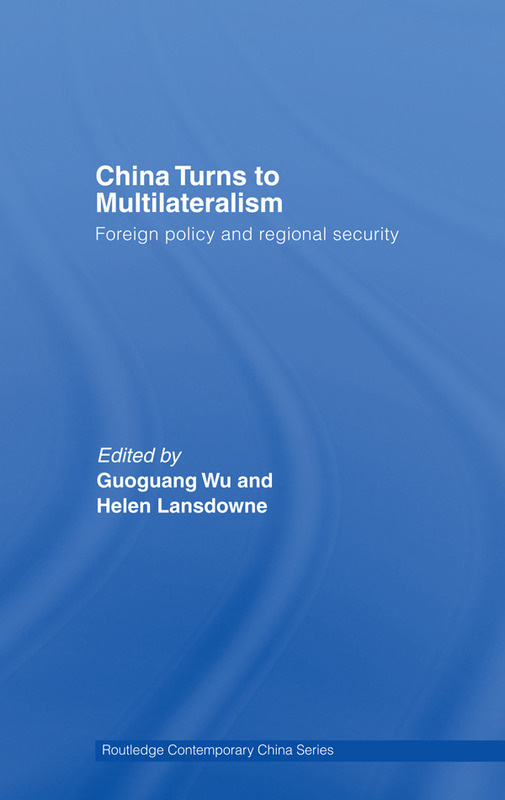 Written by an impressive team of international scholars, this book is the first collective effort in the field of China studies and international relations to look at China’s recent turn to multilateralism in foreign affairs. It will appeal to students and scholars of Chinese politics and foreign policy, security studies and international relations.